Recebi um convite da Lizzie e do Frank (Jane Austen Project Group) convidam para um curso de dança que acontecerá amanhã em Oxford. Infelizmente, tive que declinar o convite! Come along, have fun and be taught with the help of experts in historical dance who walk the figures through in advance, practice any new steps and then dance them to the music of the period. Some of the dances are lively, but others are slow and stately such as those you have seen in film or television adaptations of her work. Regency dances are suitable for adults and children of all ages and abilities and you don’t need to bring a partner or a costume to join in. Contact : 01865 515295 for more information or just turn up on the day. Adriana, parabéns pelo novo template!! 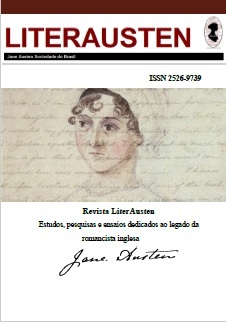 Lindo e tem mesmo a essência da era Jane Austen. Adorei a música também.